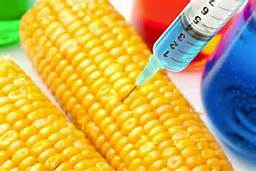 Genetically modified organisms (GMOs) have been around since the early 1980s, and have proven popular enough with farmers that by 2004, genetically modified crops were being grown by 8.25 million farmers in 17 countries. Although the general scientific consensus is that GMOs are safe, and have many benefits (including increased yield and better food security, especially for third world countries), GMOs have their opponents. 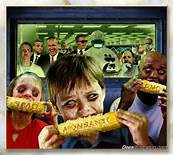 Anti-GMO advocates are concerned that they have not been tested enough and may be harmful to humans and animals. Using GMO on corn Is a bad idea I have ever seen I can really see the differences. The study, first published in the September 2012 issue of Food and Chemical Toxicology, and then retracted in 2013, claimed to link genetically modified corn and Monsanto's Roundup herbicide with tumor growth and death risk in rats. Meanwhile, on the Internet, all kinds of theories and claims abound, and unfortunately many of these are proclaimed as truth when they haven't been verified. Biology Fortified, Inc. (BFI), a non-profit organization made up of science communicators, has decided to test one such claim (that wild animals avoid eating genetically modified corn) by launching a massive citizen science experiment. Other studies have linked residue from the main ingredient in Roundup, glyphosate, to health problems in humans, but Monsanto maintains it has been proven safe. But special attention her put in so as to be sure.